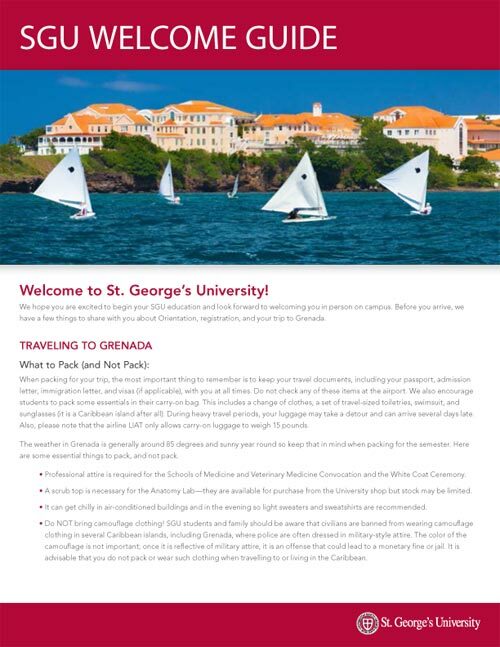 Here is some general information about traveling to and from Grenada. If you have any questions please contact your admission counselor directly. Please be advised that it is the student’s responsibility to keep abreast of visa regulations that may impact you as you progress through your program and travel to and from Grenada. Students traveling from regions where Yellow Fever is endemic must show proof of vaccination against this disease upon entry to Grenada. *Grenada Immigration requires a printed copy of all documents – electronic versions will not be accepted. 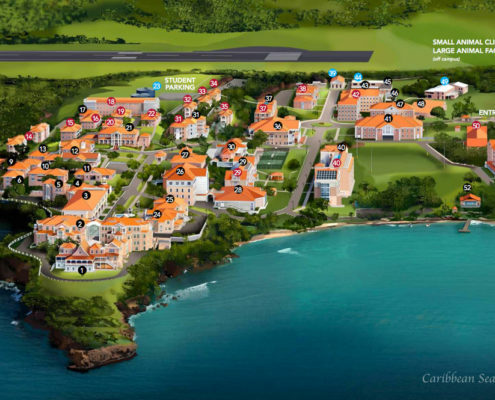 In most cases, students are not required to obtain a visa before traveling to Grenada. Citizens of the US, Canada, CARICOM countries, United Kingdom, some Commonwealth countries, some European Union countries, and those countries with which Grenada has visa waiver agreements are considered Visa Exempt and do not require a visa to enter Grenada. Please see the list of visa exempt countries in the tab below. Students who are citizens of countries that require visas must apply for a Visa Upon Arrival with the Grenadian Ministry of Foreign Affairs prior to their departure. Once you arrive in Grenada your visa will be fully processed and issued. Please be sure to have your SGU letter of acceptance and any other necessary documentation on your person when you meet with the customs agent. 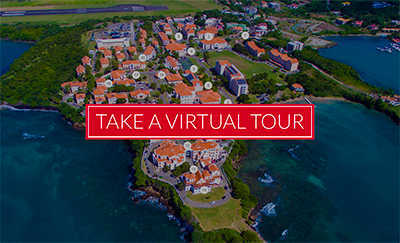 These visas typically authorize you to remain in Grenada for the length of your academic program. For instructions on how to apply for a Visa Upon Arrival, see the tab below. Please be aware that Grenada can change their visa policies at any time out of necessity, security requirements, violations, etc. It is the student’s responsibility to keep abreast of visa regulations that may impact you as you progress through your program and travel to and from Grenada. Students, visitors, and significant others who are citizens of countries requiring visas need to apply for a Visa Upon Arrival with the Grenadian Ministry of Foreign Affairs. Your visa will be fully processed and issued when you arrive in Grenada. This visa will authorize you to remain in Grenada up until the time of your return ticket or the end of term. If your country is not listed in the tab above above you will need to complete the following steps to apply for a Visa Upon Arrival. To apply for a Visa Upon Arrival send the required documents in advance of your arrival via email or fax to the Ministry of Foreign Affairs, Grenada or directly to the Grenada Passport and Immigration Office. The cost of the visa is EC$ 100 (approx US $45) for single entry and EC $250 (approx US$90) for multiple entry. Family members (spouse and children) traveling with students will receive the same duration as the student. Family members (spouse and children) not traveling with the student will be processed as a visitor to Grenada upon arrival and will then, if necessary, need to obtain an extension at the main immigration office in St. George (Botanical Gardens). Other family members (parents, siblings, etc) will be treated as visitors to Grenada. Extensions may then be sought if needed. Extensions for all family members carry a nominal fee. Family members from non-exempt countries will need to obtain a Visa from the Grenada Immigration Authority in advance of travel by following the directions above. Students who do not receive authorization to remain in Grenada through the end of the term or who would like to extend their stay beyond their program end date, can do so at the main immigration office in St. George (Botanical Gardens). A letter of good standing is required for SGU students. For family members of SGU students a letter is required in addition to a fee of $25 EC per person for each additional 30 day period. Depending upon your citizenship and itinerary, you may need to obtain a visa for the countries you will transit through when en route to Grenada. Please look into this early on so you have all the necessary documentation in place for traveling. If you require a transit visa you will need to request a letter from the University and possibly the Grenada Immigration Authority in support of your transit visa application. SGU will provide supporting documentation upon receipt of your deposit payment. Please allow enough time to secure the transit visa when you are making your payment and travel arrangements. For a complete listing of countries that are visa exempt or to locate a Grenada consular office, visit grenadaconsulate.com. For more information on what documentation you will need to obtain a visa, visit the IATA system, the TimaticWeb, and the Travel Information Manual (TIM).